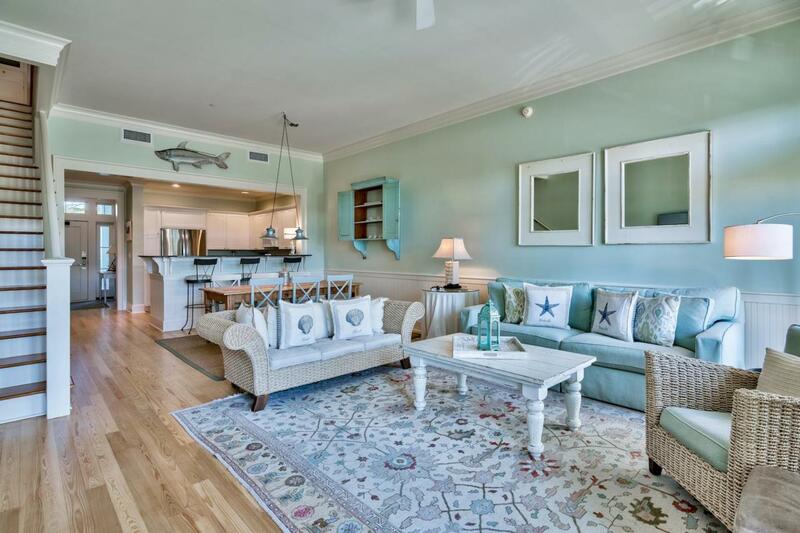 Combine turnkey condition with location, and this two-bedroom, two and a half-bath condo adjacent to the WaterColor Beach Club presents one of the best beach property investments. 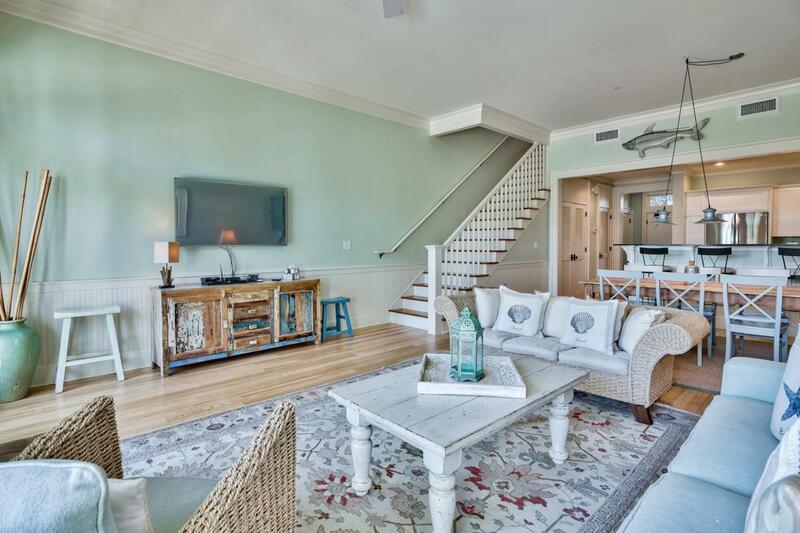 You only have to turn the key to a fully furnished beach life of your dreams with beautiful, newly refinished, wood floors. Crown molding, attractive trim, transom windows and decorative and architectural accents contribute class and style. Fine cottage-style cabinetry, stainless steel appliances and a lovely breakfast or wine bar create an inviting contemporary kitchen. Over-sized French doors allow natural daylight to stream into the living room and open dining space. Bedrooms have large windows or doors with plantation blinds and cozy furnishings.The master bedroom opens to a covered porch which, like the first floor porch, offers plenty of space for relaxing or entertaining. 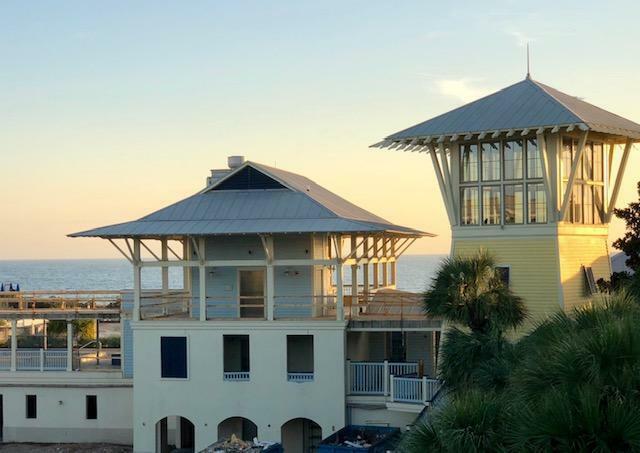 This prime location means you can misplace your car keys and not miss them when you want to hit the beach, dine out, get a spa treatment, partake in a wine tasting and myriad other fun activities at the newly expanded WaterColor Beach Club or Town Center. Everything is a short walk, and when you have the sugar white sands and emerald green waters of the Gulf of Mexico a few steps away, you basically have it all.